I have been reticent to share something that I’ve been dealing with as I just figured it would go away….but that doesn’t seem to be the case. Even though I have written about some of the ups and downs in my life, I usually write about them after the fact…once I know everything will be ok. This is a bit different as I am currently in the midst of this trial with no clear answer at the moment. Faith alone is getting me through this. Even as I write this at 3:30 in the morning, I am not sure I’ll even publicly post it until this is resolved. Over the summer I experienced an extreme drop in my heart rate and was short of breath when walking distances or climbing stairs. This was during a time when I was trying to lose weight while adhering to a low carb diet. Perspiring and working in the extreme summer heat it was easy to dismiss this change in heart rate as dehydration and electrolyte depletion. A few bottles of Gatorade and a couple days later, I was like new again. Lightheadedness and trying to catch my breath were barely a memory from the dog days of summer. Weeks passed and we were vacationing in Costa Rica, enjoying the exotic sounds of the jungle, when out of the blue the symptoms from a month earlier returned. After one flight of stairs and trying to catch my breath, I pressed my index finger into the sensor of the heart rate monitor on my phone, thirty seconds later it revealed that my heart rate had indeed plummeted again. I immediately thought, it must be the heat again. So I began to drink fresh coconut water and Gatorade filled with electrolytes and expected everything to bounce back. No such luck. We continued to enjoy our vacation, though I was cautious in my activities. As we journeyed for almost a week with canceled and delayed flights as hurricane Matthew pounded up the East Coast, we were safe and sound staying in cozy airbnbs, and not so cozy sleeping on freezing cold airport floors, running to catch rescheduled flights… you name it, it was quite the adventure returning home. Meanwhile, I was still dealing with this unexplainable low heart rate. I had no pain or tightness in my chest, no numbness, tingling or any symptoms other than getting winded running through the airport. But, hey that’s happens to me anytime I have ever had to run through the airport. So after the dust had settled of getting back home and letting out a sigh of relief that even though our little slice of paradise had taken a beating, we still had a home to return to. Other than three family portraits that were cancelled due to the family’s vacations being cancelled, I kept my work schedule as I photographed two full weddings and two vow renewals within five days of returning home. I was still getting abnormally low heart rate readings when I would check my blood pressure vitals several times a day. Reading at 34 bmp, less than half of what normal should be. It was time to seek professional help and get to the bottom of this. Earlier this week, Sean drove me into the Southern Urgent Care facility on Whitemarsh Island. I figured a quick blood test, they would see what I am lacking, give me the fix and be on my way. Oh, how far from the truth that would be. 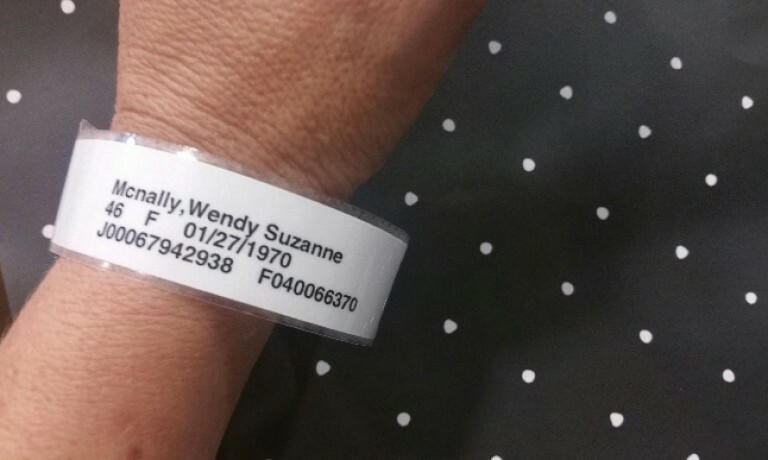 The next thing I know, I’m lying on the table naked from the waist up with round stickers and wires connected to me from head to toe as the doctor ordered an in office EKG. One quick read of the results and they had me out the door and headed to Savannah to meet with a cardiologist that they made the appointment for me. An hour later I was rushed to the front of the line in a waiting room filled shoulder to shoulder with older grey haired cardiac patients. Within minutes, I was again hooked up from head to toe with wires and machines surrounded by a very concerned doctor and two nurses all shaking their heads in disbelief of my barely existent “impressive” pulse. They were all asking me how I felt and what other symptoms did I have. My answer was always the same. “None. Just don’t ask me to climb stairs” but they did make me walk on a treadmill, only to have my heart rate not increase. They ordered blood work and made an appointment for me to consult with another cardiologist specialist about getting a pacemaker installed. What are you talking about?? A pacemaker? That can’t be. I’m only 46. 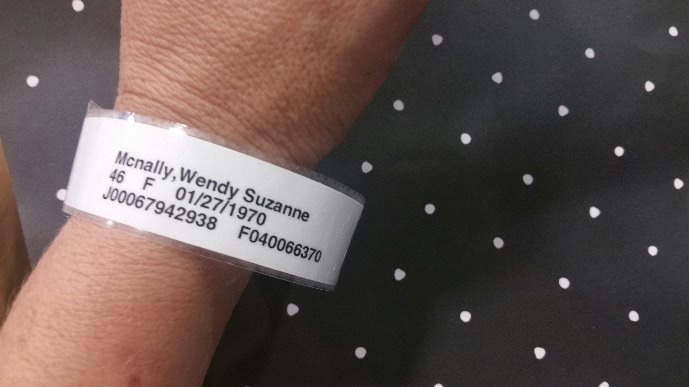 If having a low heart rate didn’t make me dizzy, telling me that I would possibly be having surgery to install a pacemaker was about to make me throw up and pass out. The Dr also ordered an echocardiogram (recording a detailed sonogram video of my heart) which also did not reveal anything abnormal. My blood work came back the next day showing everything normal, except only a lowered number in my thyroid. The nurse called and said that the Dr was consulting with an internist and said that a thyroid condition can cause a lowered heart rate. They immediately called in a thyroid medication to the pharmacy, although the next morning, I received a call from the dr himself telling me to not take the medication. He has continued to consult with other physicians that specialize in this area of thyroid that is outside of hs expertise. They suggested doing further blood tests showing a full thyroid panel as well as referring me to an endocrinologist to help assist in my diagnosis. Continuing to keep the pacemaker appointment on the books in the event that I cannot be treated with medicine, it may still require a pacemaker to get my heart back to normal. So now I wait until Tuesday’s endocrinologist appointment as daily I hope that miraculously I will wake up and have my heart rate jump back to normal… just like it did this summer. Oh Wen! I had no idea you were dealing with this! How scary! I am praying that they figure this out soon, and you will be well and feeling fine – without surgery!! Hugs! OMG, Im so sorry to hear this Wen, I hope and pray for your speedy and complete recovery. One of your Light Pro family. Thanks so much for sharing Wen. We are Praying for you and hope that you get answers soon. Love you so much. Two frustrations with the medical profession : waiting for answers and not finding any answers. There’s still much about the human body that remains a mystery. Thank you for sharing, Wendy. Dan and I will be praying for answers and for remedies for this puzzling series of cardiac events. That’s quite a lot to handle all at once. As you know your strong faith in God has gotten you this far and because you trust in Him completely, He will get you the rest of the way. I love your heart little girl! Both spiritual and physical. Lots of prayers for you and the family from us. Praying that the concerns disappear soon and you are back to your healthy self again. Wen, I’m sorry you are dealing with such a scary issue and at such a young age. Many prayers for you and hoping medication will be all that is needed. Much love and prayers to you Wen! Feel free to lean on your friends. We will be praying for you, for peace and answers. My prayers and positive thoughts are sent your way, Wendy. Oh my goodness. Prayers are with you. Hopefully, it’ll be ok but you may be placed on a regimen of Synthroid (or levothyroxine, generic). In 1977, following surgery to remove a bad gallbladder, I started experiencing weird symptoms, When I arose in the morning, my face would be swollen as well as my tongue. By noon it would be gone! People at work just thought I was hung over. My family Dr. took one look and knew immediately. Hence, I’ve been taking Synthroid ever since. I can’t take levothyroxine for some reason as it’s ineffective on me. If that’s your case, you’ll be fine… better living through chemistry! Wen…I will pray for you. I am so sorry you are dealing with all of this. At least you have a loving and supportive husband and family behind you…and many friends who care about you greatly as I do. My thoughts are with you. Wen, I’m praying for you and for God to give the doctors wisdom in diagnosing and treating you. I am putting you on the prayer list for my church ensemble team. Wow, darlin, I was wondering why you were asking advice about an endocrinologist. I have already prayed for you and the Drs and your family and will surely continue. Believing for an uncomplicated fix. Bless you, stay strong!!! Thanks for including us in your diagnosis and healing, Wen. What courage that takes. Your bravery, whether intended or not, is strength to the rest of us. Sending prayers and good energy your way. Sending Love and Light and BIG Hugs! keep you in my prayers. Thinking of you Wen … sending oodles of warm thoughts and healing prayers. Don't miss a blog post. Subscribe to my list here. Time Flies. Choose Your Moments Wisely.